After successful auditions in Port Elizabeth and Cape Town, hundreds of hopefuls flocked to the Durban Exhibition Centre to show off their presenting skills in the hopes of landing a spot on Presenter Search on 3 this season. Hosted by Pabi Moloi, the auditions allow everyday South Africans the opportunity to make their dreams of being a TV presenter come true in an exciting reality TV format which tests their ability to showcase their best presenting skills while being put to the test in a variety of challenges. Guest judges in Durban included television presenters Ayanda Thabethe, Maps Maponyane, Ewan Strydom, Danilo Acquisto, Tevin Naidu and Shirdika Pillai. Throughout the two days, the energy at the audition venue was electrifying and the judges found some talented gems. With only one more audition happening in Johannesburg on Friday, 20 April, Saturday 21 April, and Sunday 22 April at the Wanderers Cricket Stadium in Johannesburg, budding presenters are encouraged to bring their A-game for their final chance at this once-in-a-lifetime opportunity. 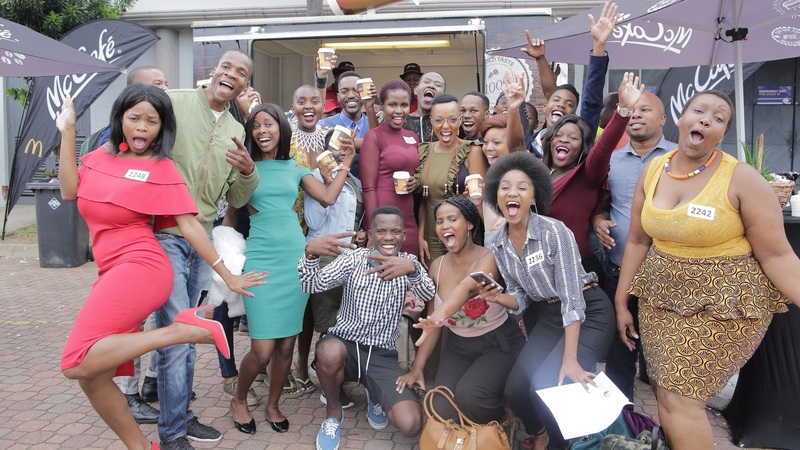 Sponsored by Capitec and McCafé and styled by Old Khaki, Presenter Search on 3 searches for three fresh, new faces to join the SABC 3’s Top Billing, The Expresso Morning Show and Afternoon Express in a reality format. The new season of Presenter Search on 3 premieres on Thursday, 10 May. For more information, visit www.presentersearchon3.com. You can also follow Presenter Search on 3 on Facebook or on Twitter.